Instagram is one of the greatest communication means and an effective advertisement channel. More than that, it proposes a very special option for business, which is business account on Instagram. 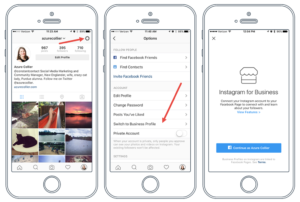 In order to create it, you need to link your profile on Instagram to your brand page on Facebook. It’s easy and clear, and you can do it just within the first few minutes. 1. 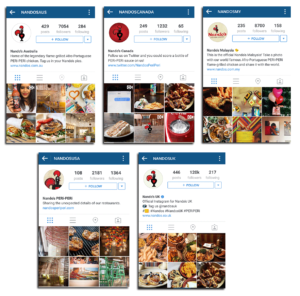 What are the advanteges of business profile on Instagram? 2. So why do I need to make that business account? What are the advanteges of business profile on Instagram? Contact data of your company. It’s a very easy thing it may seem, but it really makes all sorts of communication easier. Access to statistics. If you like many businessmen have analytic type of thinking, it would be very easy to you to boost your account. Business profile include a comprehensive statistics on communication with your subscribers. Possibility to promote your posts. This is one of the main motivators to creating business profiles. Massfollowing and massliking are now the subject of banning by the Instagram system. Thus, use only legal ways of promotion. Understand it this way – Instagram earns money on business profiles, and all cheaters have to be spotted and banned. More than that, there is nothing surprising about it. So why do I need to make that business account? Once you become a bisiness, you build a wall between yourself and your subscribers, even if your business is physchology, photography and blogging. These are the rules of psychology. Instagram represents feed not by the laws of chronology, but by the rules of algorithms. Thus, the type of your account plays role, and private accounts are given a priority over the corporate ones.